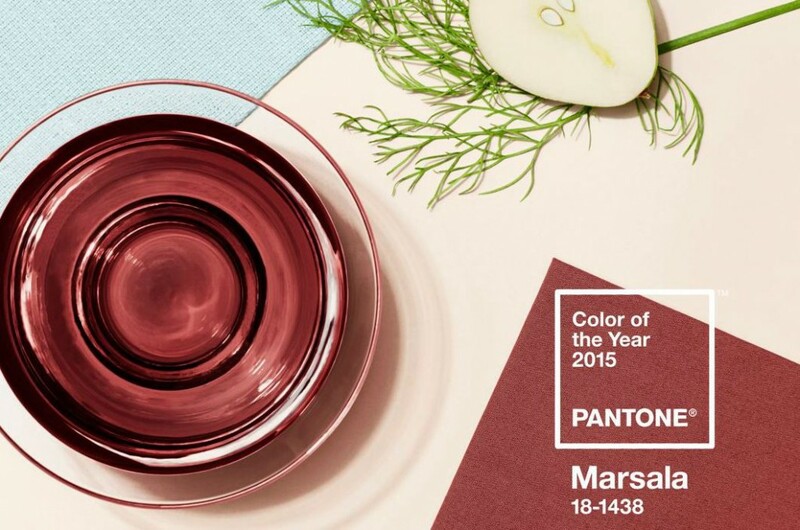 Recently, Pantone announced their choice for color of the year, Marsala, which is a beautiful wine influenced, red toned, deep rich brown red with blue undertones. Pantone chooses a color yearly that they feel will show up in fashion, beauty, interiors, industrial design and product packaging. The choice this year was safe and an easy color to combine with neutrals like grey, black and beige – colors you already own. In design, color is a key component in pulling things together for a room design. 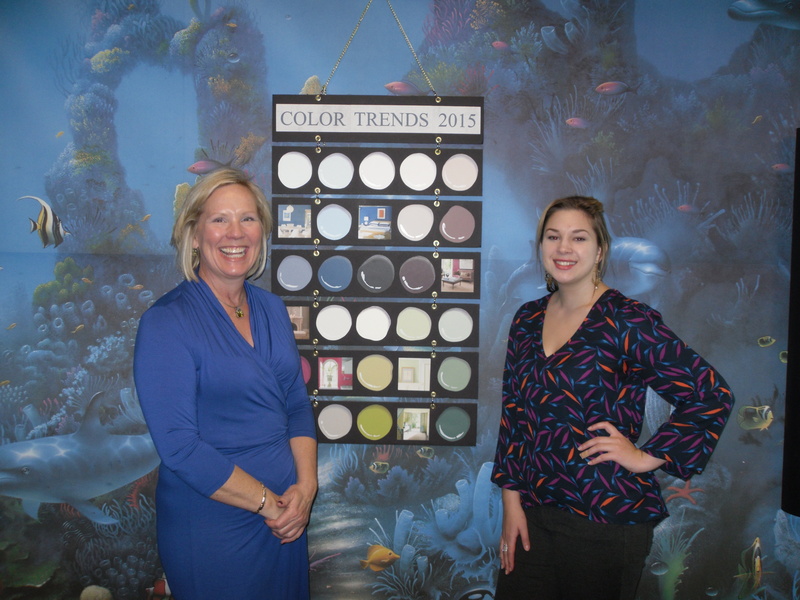 With that in mind, we had Lauryn Preller from Benjamin Moore come give a seminar about color and her company’s color trend prediction. She announced Benjamin Moore’s color for 2015, Guilford Green. A soft but not weak green with a cool, sophisticated air to it! It is not light or dark and can stand on its own or blend beautifully with other colors. Lauryn showed us many colors for 2015 and room settings for them. There was a green group, a berry group, a blush group and a blue group. Each filled with beautiful colors that you can create amazing combinations.A monochromatic scheme is very fun right now, taking in the cool dark and warm light colors of the same hue. You can see in the picture below that the different hues of green blend really well together in one space. The monochromatic scheme also helps your design flow from room to room in your home. Whether or not Guilford green and Marsala will play an important roll in your home design in the New Year, its fun to work with color in our home. Even though yellow does not flatter me, I decided to go outside of my comfort zone with a yellow chair, so I urge you to try something new next year for color- a berry throw, a blush lamp, a blue pillow or a green dining chair seat! Who knows a new wall color may be next!